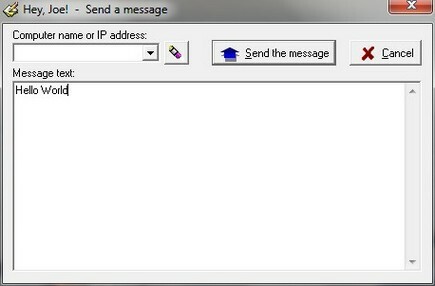 Hey Joe is a tiny application that will let users send messages based on IP address or Computer Name. It consumes very less memory space and resources, but at the same time has got required features. Hey Joe instant messenger is an ideal choice to share information on Windows Local Networks and Intranets.